All children are created equal, they are all the same, yet so different. Babies are just that and whilst their gender plays a part in many things, it doesn't need to affect how we dress them and Polarn o Pyret's latest collection 'Same difference' celebrates unisex design. 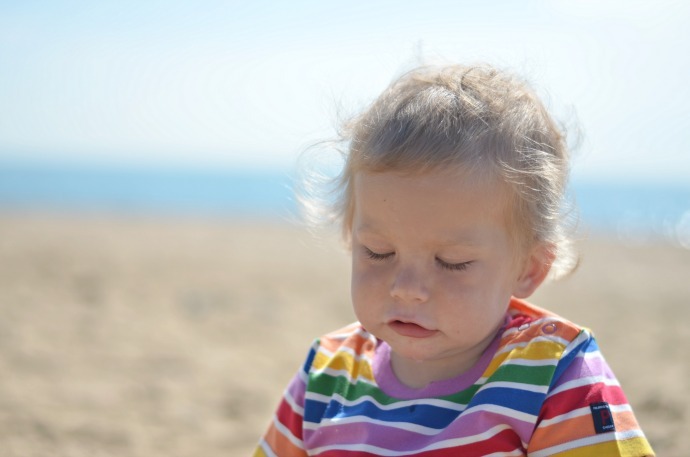 Known for their long-lasting and bright designs, this Scandinavian company have a reputation for great quality and clothes that can last through many children and this wonderful unisex outfit that Finn is wearing will be perfect for our baby girl to wear next year too. 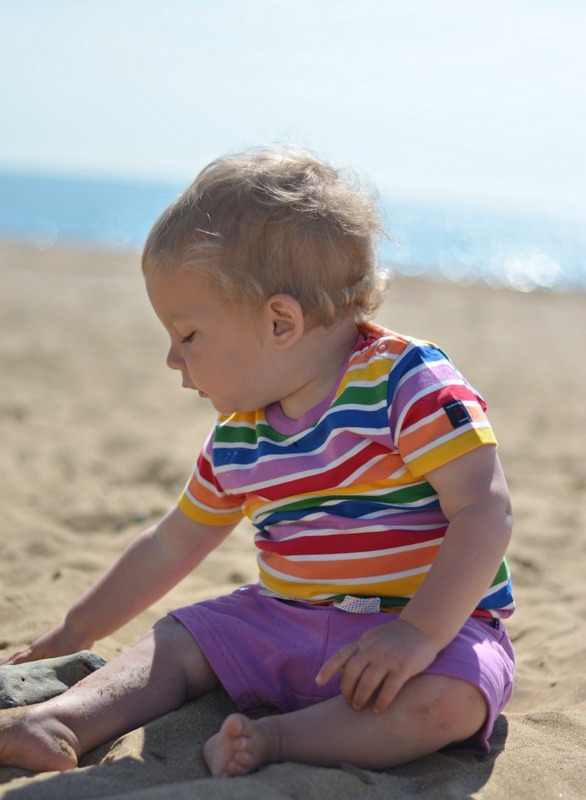 I am sorry for yet more beach pictures, but it is our favourite place to be at the moment and these clothes are perfect for a crawling, cruising, climbing baby in the sand. 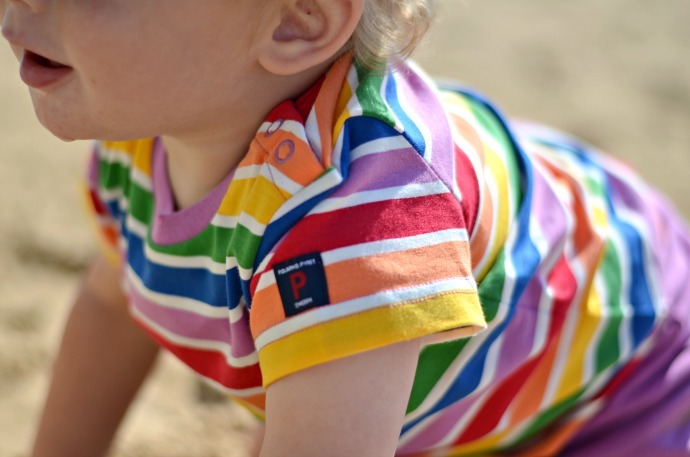 The wonderfully bright rainbow stripes mean I can always spot him and the soft stretchy fabric doesn't restrict him at all as he explores. 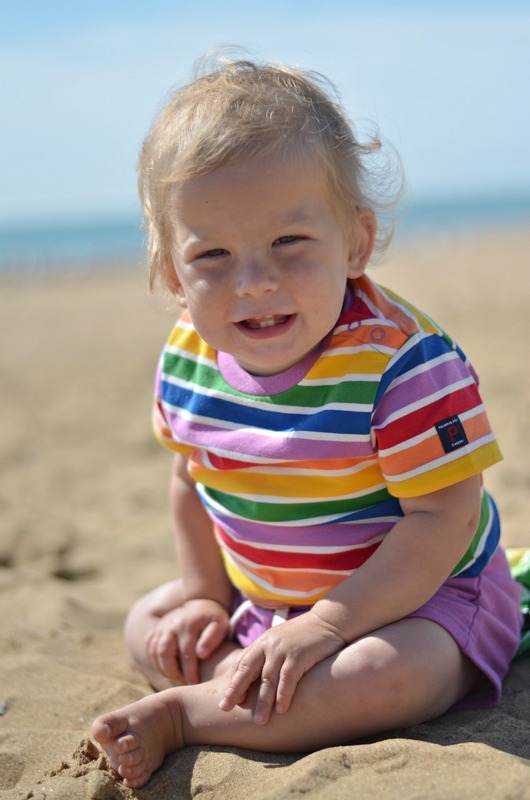 I love Finn in bright colours and these items are going to be a staple part of his summer wardrobe. I really love that the range goes from birth to 6 years (and the sizing is generous) so you can buy matching for siblings too. 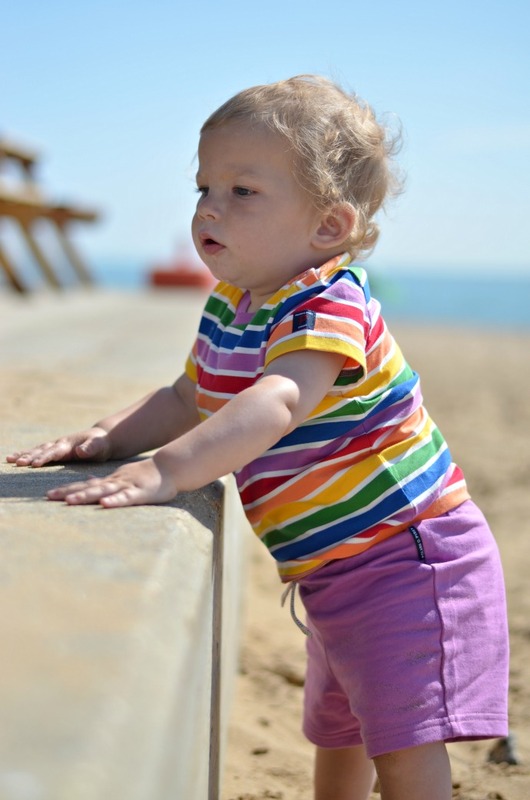 In fact, Britney bump has a short sleeved vest in the rainbow stripes that I cannot wait to get her in!